It was a few years ago we gentled Sunny (Sol) at the ROTH foal gentling clinic at Ray of Light Farms in Connecticut. She was but a few weeks old and the most shy and smallest of them all – she has grown into herself and put her past behind her (being subject to the PMU industry). Sunny seeks eye contact, she seeks connection and clarity. When it was lost, she learned to tune out. She wants to read her trainer’s eye by tracking her thoughts and create a place of safety. Without it she runs riot in the round pen with it she moved into softness and relaxation! Its these little things that are so big for our horses, without them all goes wrong, with the subtleties it seems so simple when you know how. She is currently in Rush, CO.
Can you give her a loving home? It’s starting! And this could be your loved one’s fate! The controversial topic has become real and the changing trend poises a threat to all our horses. As the industry takes shape and profit becomes a stronger draw we will begin to see an increase in horse theft. Not only this, but it encourages the PMU industry and endangers our wild horses in holding facilities. It is our duty as horse people to be the voice for the voiceless. This means we must fight to make and keep horse slaughter illegal in the United States. And to reduce the breeding of horses to bring down the numbers of horses without homes while supporting those who make a difference for those looking for their forever homes. In reference to the above article on page 3 of today’s Post (9/26), reporters Erin Calabrese and Andy Soltis are missing the big picture. There is a huge difference being euthanasia and horse slaughter, the latter being the source of the “Canadian Horse meat” delicacy to which they refer. The majority, if not all, of the horse meat from Canada comes from the slaughter of foals that are the unwanted by-products of the Premarin (Hormone Replacement drug for menopausal women) Industry. Impregnated mares are kept confined to their straight stalls for their entire pregnancy, unable to turn or lie down, while their urine is collected through tubes to make the drug Premarin. The name of the drug comes from the phrase PREgnant MARes uRINe. When the foals are born, they are ripped away from their mothers, not weaned, and sent to the feedlot where they are then bought by the slaughterhouses and to turn into this “rare dish” that the restaurant in MOMA PS I is planning to serve. Up to 30,000 foals/year over the last decade have met this fate. Luckily for me and my rescued now 6 year old mare, there are devoted people who have successfully saved many thousands of foals from this fate but alas, this dish is apparently not “controversial and rare” enough still. Maybe the chefs should consider slaughtering their dogs or cats for the next menu upgrade? John Lennon Saving Horses From the Other Side? We are excited to report that we are well on our way to rescuing the foals of a former Canadian P.M.U. farm and we have some amazing news to report. But there’s also more to be done. Find out how you can join John Lennon, Equine Voices and Reach Out to Horses as we rescue, not only the foals, but the mares and stallions as well. Can You Really Eat Your Way to Rescuing Foals? Only 2 seats left for Wednesday Night’s Extraordinary Event!And don’t forget that you can also promote your business and save lives by donating services or merchandise for our silent auction. We are gearing up for this Wednesday Night! And by gearing up we mean getting ready for a delicious meal and compelling conversation with some of today’s most successful women in the worlds of healing, art, communication and horses. For only $50 you get an all-inclusive dinner with cocktails and a large portion of the cost will go towards the rescue of not only these beautiful foals but also providing sanctuary for the breeding mares and stallions, and shutting down a former P.M.U. (Pregnant mare urine) breeding farm! Can’t make it? That’s OK you can still help! We will also be conducting a silent auction and there are some pretty awesome offerings that you won’t want to pass up! Do you have a business or merchandise that you could donate to the auction? All proceeds from the silent auction go directly to the foal rescue. For more information or to donate contact Tammy at tammy@heartintelligent.com. Meet all of these amazing and interesting women, enjoy a delicious dinner, and together we can downsize this farm in Canada and rescue ALL the horses in the program. The mares and gelded stallions will stay in sanctuary up in Canada, 6 foals will go to Equine Voices Rescue and Sanctuary in Arizona and 6 will go to Ray of Light Farm where they will participate in the Week of Foal Gentling with International Equine Specialist and Natural Horsemanship Clinician Anna, helping them as they make their way to their forever homes. Opportunities like these don’t come around every day and we are so excited to be a part of it. We can’t do it alone! Even with this incredible team of compassionate, competent and inspiring folks, we still need your help. Find out more about the foals & our efforts. Silent Auction before dinner with all proceeds going to the foals. Attire is Cowboy (or girl) Casual. Only 2 Spots Left So Reserve Your Spot Now! Is John Lennon Saving Foals from the Other Side!?! An anonymous donor has incredibly donated a letter written by John Lennon himself to be auctioned online by Equine Angels Rescue Sanctuary. All the proceeds from this auction will go towards not only the rescue of our foals but, if we get a high enough bid, the rescue of even more foals in the future! If you are a Beatles or a Lennon fan, you really don’t want to miss this chance to get your own piece of rock history while helping to save lives at the same time! Find out how you can bid on this one of a kind letter! 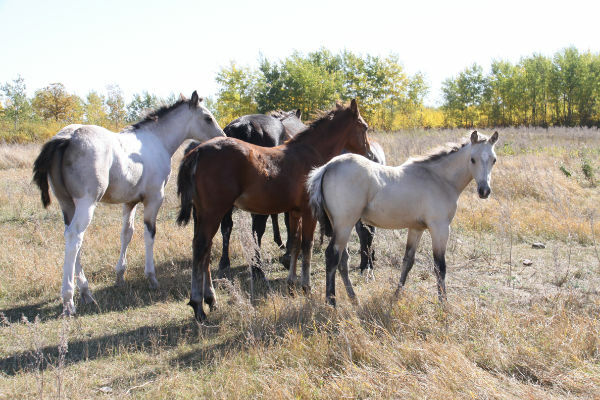 downsize former Canadian PMU breeding farm. Equine Angels Rescue Sanctuary – CT, Ray of Light Farm – CT, and Equine Voices Rescue and Sanctuary – AZ are joining forces with Reach Out to Horses based out of Golden, CO, to rescue 12 foals and assist in the closing of a former Canadian PMU breeding farm. 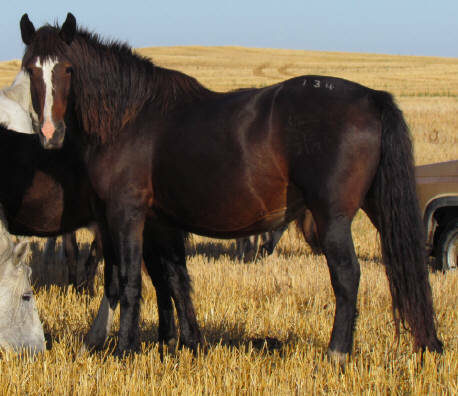 In addition the proposed action plan will result in placing the remaining mares in sanctuary, gelding two year old stallions and helping to end the cycle of breeding for this Canadian farmer. E.A.R.S. and Reach Out to Horses have already begun raising funds through sales of the new 4-DVD set Success: Foals in Training and through fundraising clinics and other events by Anna Twinney and Reach Out to Horses. But we need your help. The estimated cost for this endeavor is $16,100 so we are seeking individuals, and organizations who wish to assist in this inspiring project. Whether it be donations, adoption, fostering or sponsoring, all assistance is welcome. For more information, or to help save the lives of these foals, mares and stallions, contact Frank Weller, president of Equine Angels Rescue Sanctuary at 203-733-3576, or Anna Twinney, founder of Reach Out to Horses at info@reachouttohorses.com, or click here to donate what you can to save these horses. E.A.R.S. has worked for almost 9 years with these and other local farmers when they first saw the wisdom and win-win-win-win opportunities that would result if allied with the farmers. The genesis of that outreach is well documented in the book “Equine Angels: Stories of Rescue, Love and Hope“. Over the years E.A.R.S. has been able to ferret out the people who will live up to their word and those who won’t and to establish a verifiable protocol to put the mares in sanctuary. They now have trusted people in place who really care for the mares and report their condition. They know that other people are also reporting to E.A.R.S and all reporters are unaware of the identity of our other agents. In addition E.A.R.S. has created close relationships with the vets, the farm agents, the farmers and their families. The government takes meticulous statistics and we trust most of their numbers which have followed the decline of Premarin farming. In addition to securing sanctuary for the mares and stallions E.A.R.S. will transport all 12 foals to a rescue just over the border in North Dakota. From there, 6 will go to Equine Voices Rescue and Sanctuary near Tucson, Arizona and 6 will go to Ray Of Light Farm in East Haddam, Connecticut where they will participate in the Reach Out to Horses Week of Foal Gentling Program. E.A.R.S. and Ray Of Light Farm have collaborated on similar rescues for almost 5 years now and this will be the 3rd successful year of the ROTH Week of Foal Gentling Event. Possibly the best piece of this effort is that this retired farm will no longer be in the Premarin farming or the breeding business all together. Financial implications are part of that decision and a as a working farm, they have other viable sources of income. That seems to make a big difference in that the farmers with other choices are less likely to pursue breeding for meat as a revenue source. As a rescue E.A.R.S. has often encountered that mindset and absolutely cannot enable farmers to breed by buying their foals. That would be a step backwards to say the least. For more information, or to help save the lives of these foals, mares and stallions, contact Frank Weller, president Equine Angels Rescue Sanctuary at 203-733-3576, or Anna Twinney, founder of Reach Out to Horses at info@reachouttohorses.com. Hey everyone, Anna’s on Stable Scoop today! She tells Helena and Jennifer all about the Art of Foal Gentling and her recent Foal Gentling Clinic at Ray of Light Farm in East Haddam, CT. She also talks about PMU foals and mares and the difficult life they live. DON’T MISS IT!